In or around 1995, Tim and Dawn began to think ahead about their financial situation and decided to seek professional help. They sought out Julie at her previous company, after seeing an article about her in the Financial Times. They had two young daughters, Tim had a good job for a large organisation in South Wales and they didn’t have any particular ambitions or big objectives, other than to have a happy life and achieve financial security. They had seen other financial advisers but were concerned that each one wanted to sell a financial product, rather than help them design a plan for their long term future. They were happy to discover that Julie’s approach was very different to most financial advisers at the time, with a concentration on how they wanted to live their lives, rather than on their money. 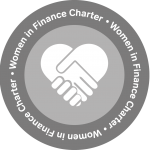 The firm also provided fee based advice, offset by commissions earned and this was very attractive, as was the reassurance provided by Julie’s profile and her many qualifications and awards. This was underpinned, as Tim and Dawn say, by “her clarity of explanation and straightforward manner”. A Lifetime Cashflow Forecast showed Tim and Dawn that there were gaps in their financial provision in the event of premature death or illness. It also showed how much they would need to save on a regular basis, in order to achieve an early retirement and be able to focus on things other than work, such as travel and family. Over the subsequent years, Tim and Dawn revisited their cashflow forecast annually to check they were still on target and then at one planning meeting, Tim revealed that he was considering working for himself. He felt sure he could offer his services as a business consultant in Operational Excellence, using what are now known as Lean techniques. He hoped that this would result in a better work/life balance, a greater income and the possibility of moving “back home” to The Peak District. However, Tim was uncertain about the risks involved and how much he would need to earn initially to keep his family secure. Further financial modelling with some very cautious assumptions showed what income would be required and once he had the first consulting assignment in his sights, he had the confidence to bite the bullet and resign from his job. Tim has never looked back and set up a successful business where his work was always in demand. He has worked in most manufacturing sectors but more recently, as Lean techniques have become more widely adopted, he has moved into banking, retail and the health service. Over the last few years he has been scaling back his consultancy work in favour of more travelling and providing more family time. 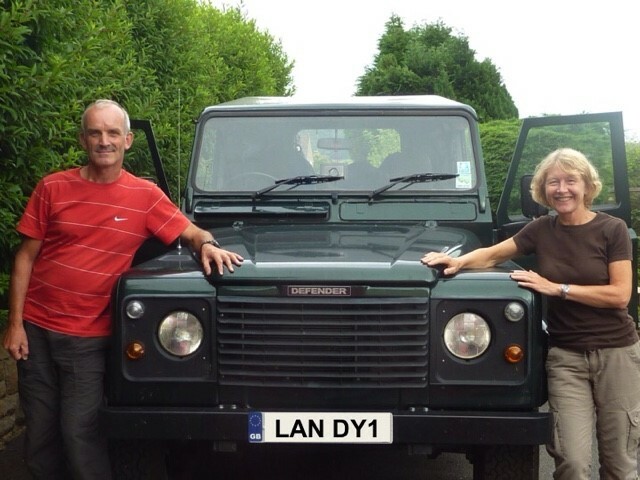 He restored a Series 3 Land Rover and then a Defender 110 which has become a workhorse in which they have travelled as far as Bosnia, Albania and Greece. Dawn trained to become a teacher, in her favourite subject of maths and very much enjoyed this career once her own children were at school. She eventually taught at the Peak District secondary school which she had attended. In the meantime, their daughters have grown to become successful in their own careers and are now mothers too, bringing new grandparent joy to Tim and Dawn’s retirement days. Tim and Dawn have met with Julie every year to monitor the progress of their planning and to obtain guidance and advice on a wide range of different lifestyle and financial issues. Now clients of Magenta, we are delighted that they have introduced other family members and friends and that they are living their chosen lifestyle and generally enjoying their retirement at a level that has been secured over many years of robust planning. Ensuring their own estate is also organised effectively for the same reason. Planning for retirement requires special care, as we don’t know how long we are going to live, yet we don’t want to run out of money pursuing our dream life. Thus cashflow forecasting is key to letting Tim and Dawn have a clear idea of how much they can afford to spend, either as a yearly average spread over the next 40 (?) years, or possibly with higher spending in earlier years while they are fit and healthy, tapering down as they get older. How we model this will depend on Tim and Dawn’s thoughts and will be flexible enough to accommodate any changes – good or bad. We very much look forward to helping Tim and Dawn and their family enjoy a financially secure and happy future.